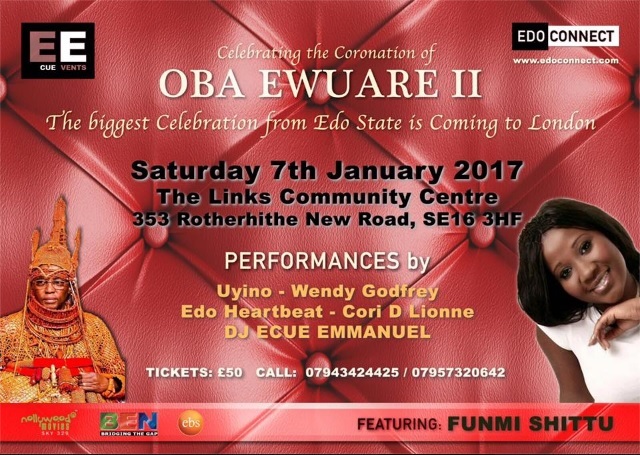 Binis in the UK with special guests including Funmi Shittu celebrates Oba Ewuare II of Benin Kingdom who was coronated in Nigeria on Oct 2016. In case you missed it, here is a video summary of how it went down. UK Nigerian, Worldwide Bookmark the permalink. ← Can you really make money off Instagram using the Takumi App?